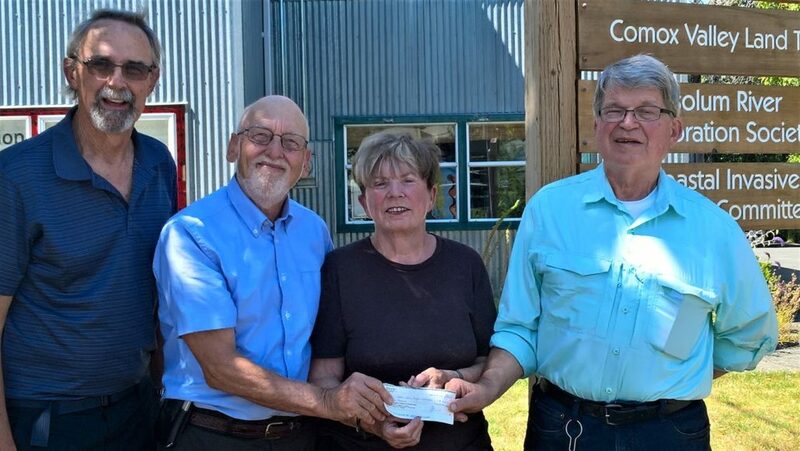 Frank and Bobbi Denton, longtime residents of the Comox Valley, met with Project Watershed Board Chair, Paul Horgen, and Technical Director, Dan Bowen, and announced that they wanted to become Platinum Donors for Kus-kus-sum with an extremely generous gift of $50,000. The Dentons have deep roots in the community, having settled in the area with their 2 young children in 1975. At that time, Frank Denton opened an engineering/surveying consulting practice for Vancouver-based McElhanney, which has now been operating successfully in the Valley for 43 years. He ultimately became senior vice-president for the company and, though now retired, continues to serve as a director. “I worked with Frank on many projects in the past when I was with the Ministry of Transportation”, noted Dan Bowen. Bobbi Denton was the founder, and owner/operator of Robert A Couture, a local ladies’ clothing retail store. She operated the business for 25 years and it is still thriving, though now under different ownership. She now expresses her creative side through an artistic practice. “This donation came at an opportune time as we were able to use it as part of the half million dollar payment we made to Interfor at the end of the June”, said Board Chair Paul Horgen. “We hope the Dentons’ gift stimulates other people in the Valley to open their pocketbooks, as we believe that many see the purchase and restoration of this site as an important way to erase a rather unsightly landmark in our beautiful Valley and help bring it back to a more natural state”. 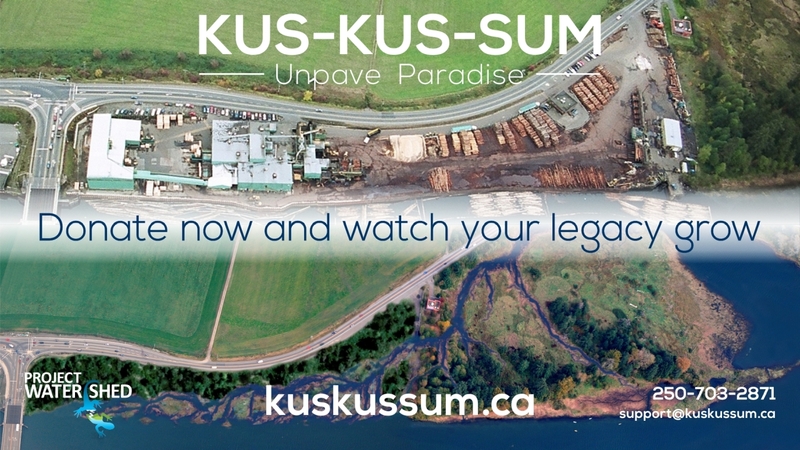 For more information on the purchase and restoration of the site go to www.kuskussum.ca. The Estuary Angel, who has committed to matching community donations this year, will match the Dentons’ gift of $50,000. The Angel has not committed any funds for next year and Project Watershed is hopeful another Angel will step forward for 2019. The next payment deadline is December 20th, 2018. Those who donate before this date will help leverage the Angel’s funds and enable Project Watershed to meet that deadline. If you are contemplating a major donation to the project and would like to discuss it, please call Project Watershed 250-703-2871 and ask for Board Chair Paul Horgen or Treasurer Brian Storey. As a first step you can read the information on our Legacy Giving page.